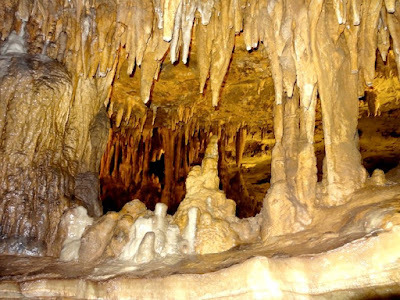 The beautiful Luray Caverns are located in Luray, Viriginia and if you live in south central Pennsylvania, it's about a 6 hour leisurely car ride away. If you're looking for the best time to visit, we recommend going down in late October when the middle Atlantic States are experiencing some of their best Fall foliage. It's a spectacular drive! 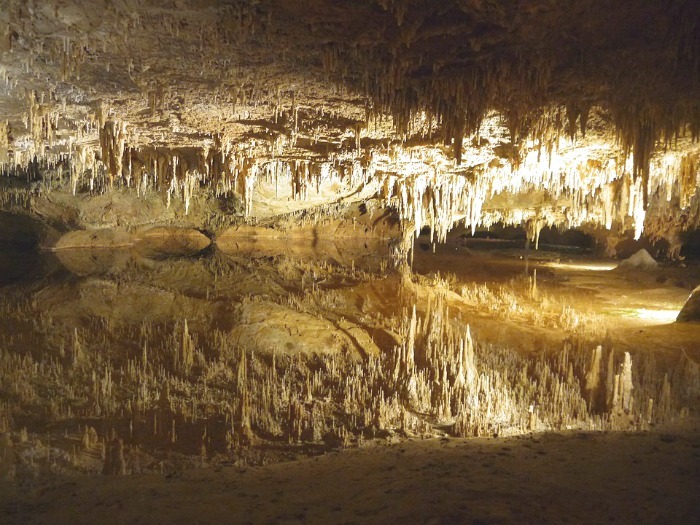 Luray Caverns are open year-round with guided tours departing every 20 minutes. Your admission price includes your tour of the caverns and entry into the Luray Valley Museum which is located on the property. Admission Rates: Children 6-12 years of age $14.00 and Adults $27.00 per person. No charge for children 5 and under when they're with a paying adult. The caverns are chock-full of beautiful stalactites and stalagmites, some of the biggest and prettiest one's that we've ever seen! I believe they're the biggest cavern and cave complex on the east coast. When you enter the cavern you'll experience well-lit and paved walkways to make walking a lot easier. Some of the caverns have ceilings that are 10-stories high with huge stone formations, and natural wonders at every turn. 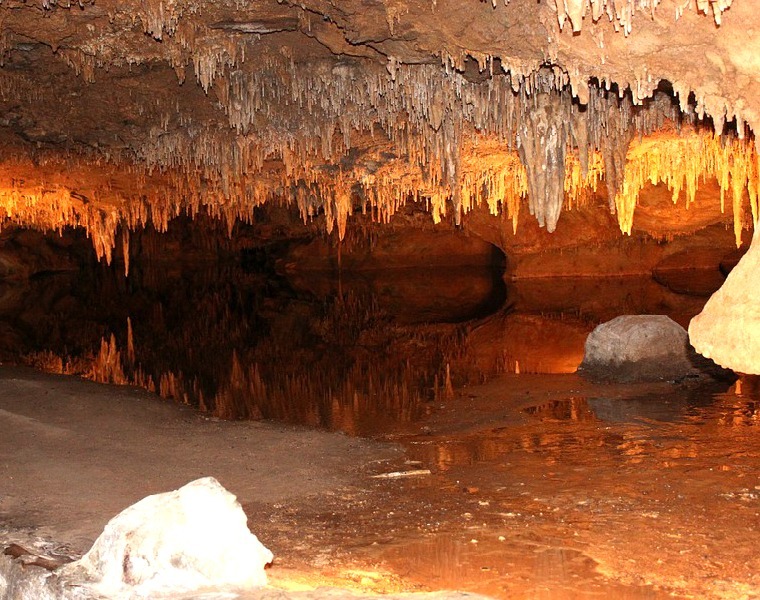 One of the prettiest things to see was Dream Lake located within the caverns. It houses the largest body of water in the entire cave complex. With that said, the tour guide stated that at-most...it's only 20" deep. When you're in this section, you'll be astonished at it's beauty, especially with the reflection of the stalactites that are hanging from the ceiling. Their reflection just sparkles and shines across the water. When visiting, I highly recommend that you wear comfortable walking shoes and dress appropriately for the season. I found it to be a tad chilly (not cold, but chilly) down in the caves, so I was glad that I brought a light-jacket along with me. In addition, you might feel some water drops (dropping down from the ceiling) as you walk along. When taking your tour, please don't touch the inside of the cave and never touch the formations. You don't want to disrupt mother nature by leaving any germs, etc. behind. We had a great time touring Luray Caverns while passing through Virginia. We had such a wonderful time, that we're already planning to visit again and this time it will be an overnight trip, so that we can experience the other attractions and activities that are in the area. You can learn more about Luray Caverns by visiting their official website online. I did not realize that there was a cavern full of beautiful stalactites and stalagmites so close to me in the northeast. I shall have to make the trip one day.